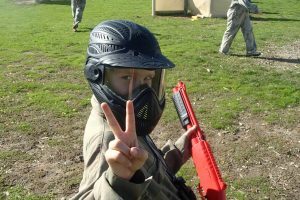 Those who are 12 years or older in South Australia and Western Australia can play, so why can’t teenagers around the rest of Australia enjoy the thrills of the great sport that is paintball? 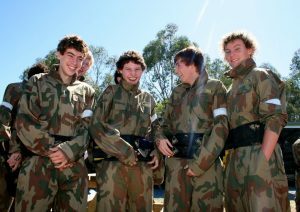 Sign up to our petition to help reduce the minimum paintballing age from 16 years in NSW and 18 years in Victoria to a standardised 12 years of age. This reduction in age will enable more people to experience the fun and excitement of paintball in a safe and professional environment. As proven through paintballing in SA and WA, the sport is a great place for teenagers to learn about leadership, teamwork and strategy. Reducing the minimum age will help kids get outdoors and enjoying an active and healthy lifestyle. The AUPBA would like to thank all those who have helped us in our efforts so far. Late last year the AUPBA met with the Honourable Michael Daley (NSW Minister for Police) and the Honourable Jodie McKay (Minister for the Hunter) at Parliament House to present a proposal aimed at reducing the legal playing age to 12 years of age. It was a positive meeting and the direction given from that meeting is helping in achieving the goal. Please spread the word about this petition as we move one step closer to reducing the legal paintballing age.